Prince Gives 1.5 Million To Harlem Based Organizations and More!! It is soo very busy, lots of things going on. First of all, let’s take Prince. I was at the press conference yesterday at Madison Square Garden. If you think that Prince is just legendary, you can add humanitarian to that list. He is by far one of few entertainers who put their money where their mouth is. He gives back. A few other artists could use him as an example. Read on to see what he is doing. NEW YORK (February 8, 2011)—Prince is continuing his mission to pay forward the knowledge and pave the way for the next generation to attain its greatness. The seven-time Grammy award winner bestowed a $1 million line of credit upon the Harlem Children’s Zone (HCZ) and made special gifts to the Uptown Dance Academy and the American Ballet Theatre during a press conference featuring HCZ’s President and CEO Geoffrey Canada and students from the community-based educational organization. 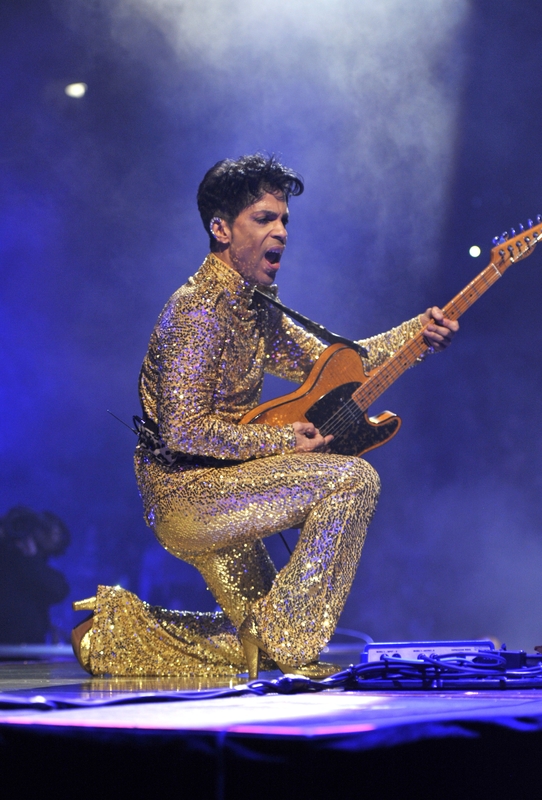 The event was held at Madison Square Garden at the conclusion of the first leg of Prince’s phenomenally successful “Welcome 2 America” tour, one of the highest grossing recent tours in the country. Robin Williams, Executive Artistic Director of the Uptown Dance Academy, and Rachel Moore, Executive Director of ABT—whose ballerina, Misty Copeland, performed with Prince during the tour—each accepted $250,000 lines of credit from the music icon. The three groups can tap into the funds for the resources they need to grow and develop their programs. The lines of credit were issued so that Prince can remain informed of the needs of and help foster the three organizations. At the press conference, the 30 students of the Harlem Children’s Zone—chosen for their musical aspirations—got to stand on the stage of the world’s most famous arena. After the press opportunity, the seven-time Grammy winner met the youth. As Prince works with Live Nation to bring the tour to new cities across the country, he plans to make similar donations to other exemplary educational and cultural institutions. The six New York area dates included an eclectic mix of established artists like Mint Condition, Cassandra Wilson, Sinbad, Maceo Parker, Larry Graham and Sheila E, who have paved the way for others. Emerging and established artists like Janelle Monáe, Esperanza Spalding, Sharon Jones and the Dap-Kings, Cee Lo Green and Lalah Hathaway have also performed. Global Social Media Week kicked off yesterday in nine cities and we couldn’t be more excited about how the days events unfolded here in New York. On our first day we hosted 32 events around the city, with activities culminating as part of our Opening Night Celebration, at the New York Public Library’s Celeste Bartos Forum. Want to attend more Social Media Week events? No problem, below is the list of sessions which have either been recently added to schedule or that still have some capacity as of right now. 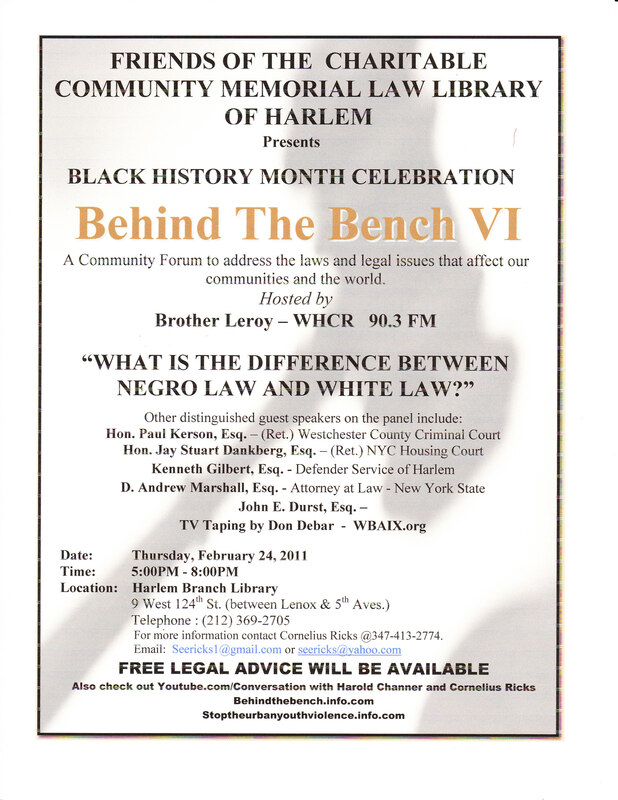 Another thing going on for Black History Month is another “Behind the Bench’ program. It’s a really good interactive discussion about People of Color and the Law. It is paneled by Attorneys, Judges and people in the community that are there to assist and inform the community about the law and the process of the law. Last but now least is a reminder that Fashion Week is upon us this week. I am hitting a fun show tomorrow at the Standard Hotel. Don’t ask how I make the time to do these things!! I have so much on my plate, I don’t think about it anymore. Anyway, check out some of these events, make sure you always get some networking in. Social media is fun but let’s remember to turn it into something more than just spending time on the computer!! This entry was posted in Black History Month, Business, entertainment, Fashion Week, Harlem, music, Prince in Concert, Social Media Week, technology and tagged Behind the Bench, entertainment, fashion, Harlem Happings, music, PRINCE IN CONCERT. Bookmark the permalink.